Shanghai’s official language is Mandarin Chinese. A notoriously difficult language to learn, it has no set alphabet and instead uses characters, which number approximately 50,000. Fortunately for Mandarin learners, not all are in everyday use and mastery of about 3,000 is enough to read a newspaper. Learning spoken Mandarin is made easier through the use of pinyin, a phonetic transliteration system that uses the Roman alphabet to represent pronunciation. Nonetheless, Mandarin is still tricky to learn because it is a tonal language. Each character is assigned one of four tones in spoken form: first tone (high and level), second tone (rising from medium to high), third tone (starting low, dipping lower and then rising again), fourth tone (sharply falling from high to low). Depending on which tone is employed, one pinyin word will have numerous meanings. For example, the word ma can mean ‘mother’, ‘hemp’, ‘horse’ or ‘to swear or reprimand’. This, of course, can cause embarrassing misunderstandings. Shanghainese, or Shanghaihua, is derived from the Northern Wu dialect. It exists only as an everyday spoken lingo, with no written form. For a beginning Mandarin learner, it can be frustrating to wholeheartedly attempt a new language only to be confused on the streets and in the shops by hearing another foreign language. However, Mandarin is the official language of Shanghai and most people speak it well. The Chinese are generally much more patient and forgiving with Westerners struggling through Mandarin than vice versa. Locals greatly appreciate any effort to learn Mandarin at the many universities and language schools, and speaking a few phrases is seen as a sign of respect and will help you interact and integrate with the locals. It is advisable to learn some words and phrases right away. Pick up a phrase book and watch or listen to a tutorial a few times before you go. All of these resources are easy to find at bookstores or online. English is becoming more widely spoken in Shanghai in most central neighbourhoods, particularly in establishments frequented by Westerners. Hotels, cafés, restaurants, bars, banks, museums, fitness clubs and boutiques will normally have at least one English-speaker on hand. However, do not expect to find English spoken by the average passer-by on the street, in taxis or buses, in local restaurants and markets or generally in neighbourhoods outside the city centre that are not near expat villas. 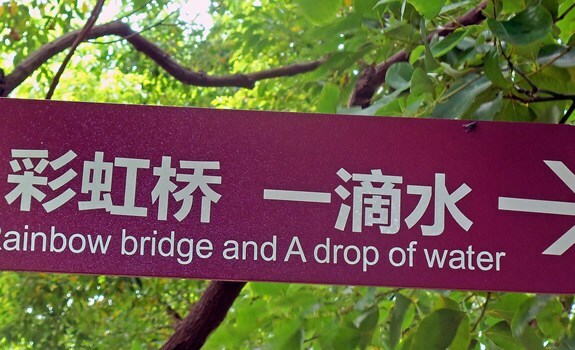 Many signs, notices and publications in Shanghai are written in what is often called ‘Chinglish’. This new, developing form of communication is derived from poor translations carried out by Chinese English-speakers. Chinglish is usually decipherable with a bit of patience and a keen eye for humour.